If like me, you are too lazy to knead by hand and have a bread machine with a dough cycle, this recipe is for you! 1. Break 2 eggs in 2-cup measuring cup. 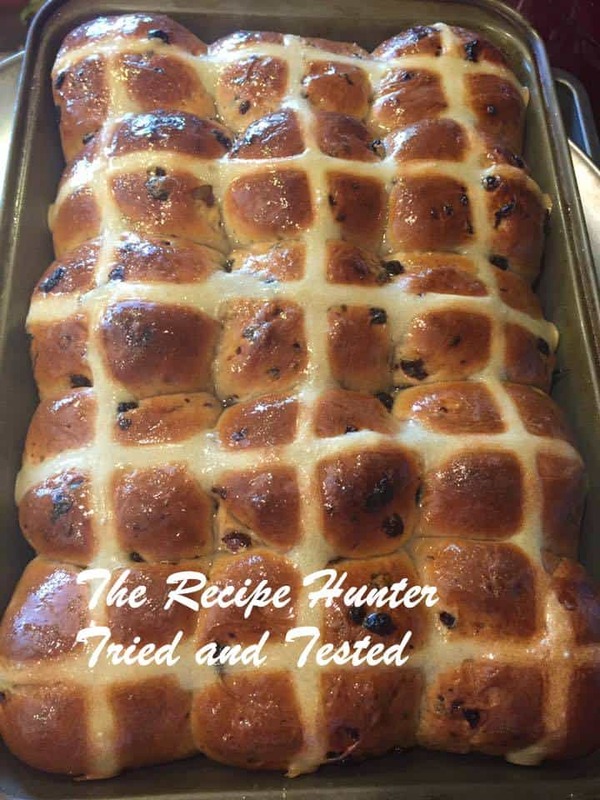 Add enough water to measure 1 1/3 C. Measure carefully, placing egg mixture and remaining bun ingredients except currant/raisins in bread machine pan in order recommended by manufacturer. Add raisins 10 minutes before kneading cycle ends or at Raisin/Nut signal. * My machine does not have a signal but it kneads for about 20 minutes, so I add it ten minutes after starting the machine. 3. When cycle is finished, remove dough from pan and punch down. 4. Grease a 9×13 pan. Divide dough into 3 pieces. Divide each piece into 5 equal pieces. Shape each piece into a ball. Place buns in pan, cover lightly and let rise in a warm place for about 40 minutes. 6. Mix the flour and water for the dough crosses and place into a pastry bag. The dough should be soft but not runny. 7. 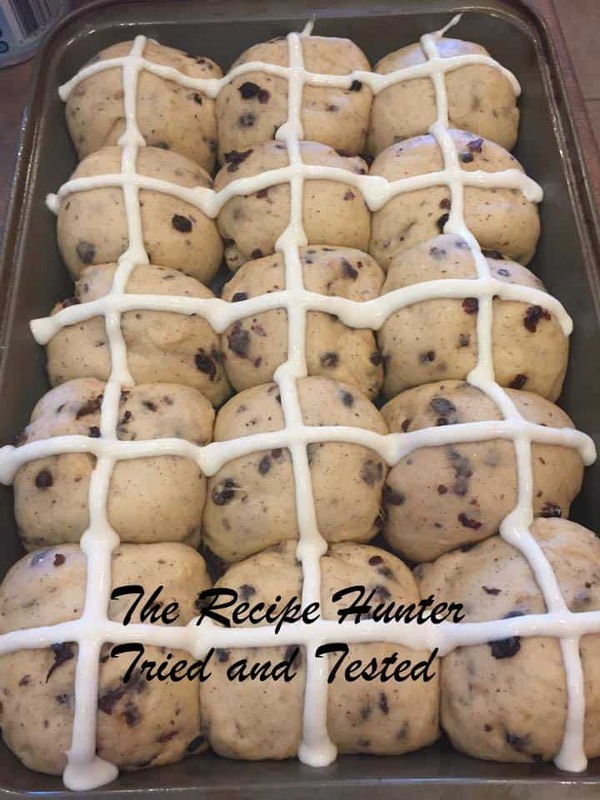 Make cross shapes by piping dough onto each row of buns from end to end. 8. Bake for 22-25 minutes until tops are golden brown. 9. Remove and cool slightly in pan. 10. Mix sugar and water for glaze and brush tops of buns.